Upon graduation from law school, Greg served as a judicial law clerk to Judge John A. Terry of the District of Columbia Court of Appeals. Upon completion of his clerkship, Greg focused on complex cases and defending local governmental entities and businesses in general litigation matters. Greg joined Laner Muchin, Ltd. in 1996 and became a partner in 2001. 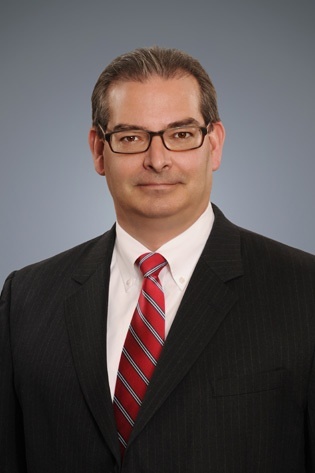 His practice includes counseling public and private sector employers in employment law matters and defending employers in claims alleging employment discrimination, wrongful discharge, contract, labor and civil rights litigation. Providing ongoing employment counseling advice to a variety of private sector clients and numerous governmental entities, including, but not limited to, advising clients on discipline, terminations/severances, leave and disability issues, regulatory compliance, and drafting employment policies and procedures and employment contracts. Defending employers in employment discrimination, harassment, retaliation and non-compete cases before state and federal courts and in administrative agencies. Conducting investigations on behalf of employers on a broad-range of topics, including investigations of alleged employee misconduct, harassment, retaliation, discrimination and other matters. Providing training to executives and managers on a range of employment-related topics including leave and disability, discrimination and harassment, social media, hiring, background checks, effective documentation/discipline practices and a variety of other employment-related topics.